Cournoyer case evidence ‘strong’: Crown – WHO KILLED THERESA? The Crown says it has strong evidence in its case against the man accused of having abducted and killed Corrections Canada worker Natasha Cournoyer last fall. Claude Larouche made a brief appearance at the Montreal courthouse on Tuesday, where he learned that he will face a preliminary hearing starting October 18. The backbone of the case is based on DNA evidence, said Crown prosecutor Éliane Perrault. Larouche was tracked down by investigators thanks to a sample he was forced to provide following his conviction for the attempted abduction of a seven-year-old girl in 2003. “The DNA evidence is pretty strong – evidence without any doubt,” said Perrault. 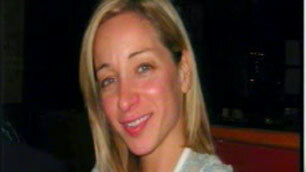 Larouche, 48, was arrested in November following the discovery of Cournoyer’s body in east-end Montreal on October 6. Larouche is also facing charges of attempted murder in connection with an assault on a prostitute following Cournoyer’s disappearance, but before his arrest. In that case, Perrault said the Crown will present Larouche’s eye glasses, which were allegedly broken during the attack. Those charges against Larouche will also be used to support the evidence in the Cournoyer case, Perrault said. Meanwhile, investigators are continuing the DNA testing to see whether Larouche can be linked to other crimes. Larouche, who is a drug addict, also has a prior conviction for sexual assault in 1991.